We STAN for #BlackLove. And it seems we have a new, young, black and fabulous couple to fawn over. 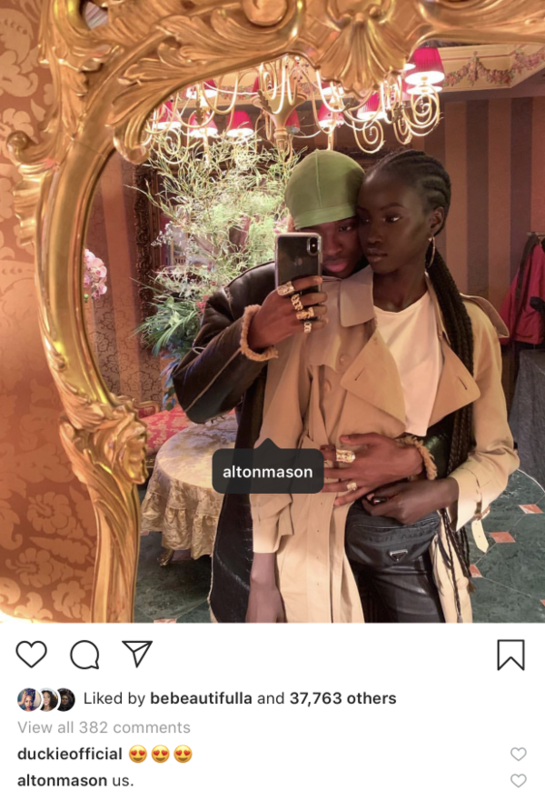 Models Alton Mason - who recently became the first black male-model to walk in a Chanel show in the 109 years the brand has existed - and Anok Yai are all boo'd up. And they're an entire mood. Anok - the former biochemistry student who was discovered after a picture of her strolling through Howard University's Homecoming went viral - posted up a picture of herself and Alton all cozied up for a coupledom selfie. She didn't write a caption because, what's understood doesn't need to be explained...or typed. Y'all know how that goes. While she didn't write any thing about the photo, Alton hopped in the comments and responded, "us." Cute. 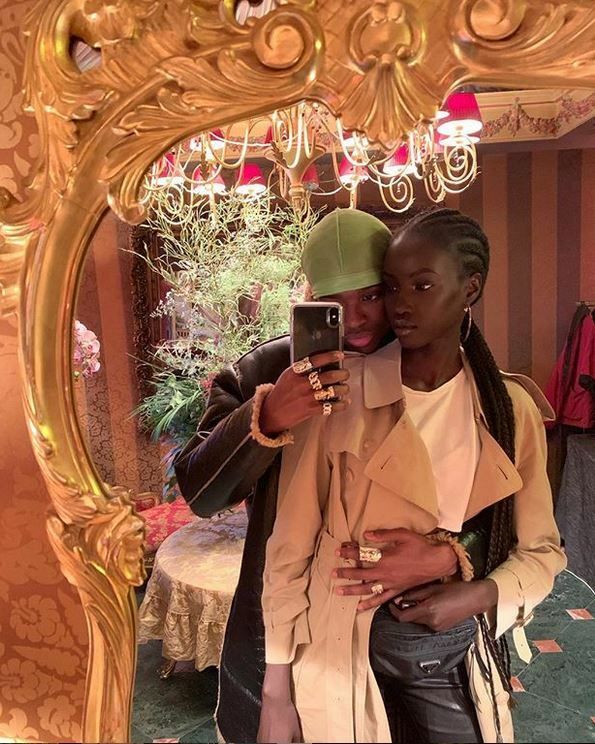 Model Duckie Thot - who has seemingly reunited with her beau Kofi Siriboe recently - approved! By the way, Alton is the model who did backflips during Virgil Abloh's Louis Vuitton show during Paris Fashion Week a few weeks ago. We're HERE for the young, black, model love. Hottie Broderick Hunter is speaking out about diversity in fashion. And while the industry has made a few strides towards inclusion, Broderick claims it's basically still white AF. In a profile for Teen VOGUE, the "Insecure" co-star/model explained how he experienced racism soon as he got into the model game. He said he was flown out to Italy after booking his first major fashion show, only to be replaced by a "white boy." "The thing about it is that I stepped into the industry on a whim," he said while talking about how he got into modeling. "My basketball career was in a spiral. I was coming off of an injury. I was using whatever I had left in me to play basketball just to get into college. I knew I had to have education. My mom and dad weren’t going to let me go about life without going to college. So, when modeling happened it was a way out, and an opportunity to start something new. My “OK, this is something I can do” moment happened when I was in Italy for the first time. I had booked [a major fashion show]. And I was like “Oh, sh*t, this is my first big deal.” But then six hours before the show, I got released and they replaced me with a white boy. They put my look on someone else." Back then, the then 19-year-old didn't blast the fashion brand because he didn't want to seem like he was ungrateful for the opportunity that was presented to him. After the experience, he took things into his own hands. "At the age of 19, if I was to blast on social media, saying 'Hey, yo, f*ck [this fashion brand], they replaced me with a white guy,' I probably wouldn’t be here, because I didn’t have the backing behind me to continue my career. I didn’t want to be regarded as the black kid who wasn’t grateful enough for an opportunity and didn’t want to be a good sport about it. The only thing I had to do was just be silent, unfortunately. But that silence fueled me into my next step, which was crashing the DSquared casting. I was like 'Sh*t man, I got to do something,' and there were still castings going on. DSquared didn’t even request me. I just crashed the casting, got put on option, then got released, then got called back, and then I got the show and the show led to the Ciara video [for “Sorry.”] But that’s a whole different story. Don't try that ish now though. Broderick feels like the fashion industry is making advancements towards diversity, but he doesn't feel like it has changed as much as it's being portrayed. "I mean, kudos, it’s great. I think we’re making advancements. Because back when I was walking, you only had one black person in a runway show. I used to talk to my friend Cory Baptiste who was killing all the runway shows, and every time I would see a major runway show, like a Dolce & Gabbana or a Dior, it would be him or one other black person. But I’d have to look for it: OK, five just went, we’re on the sixth one, seven, eight; oh, there he is, OK, cool, then white boy, white boy, white boy. It would get to the point where some things happen so much that you start to believe that this is just how it is. I’ve started to see more representation, though. We have all-black runway shows and we have more designers of color, thanks largely to social media. But I don’t necessarily feel like for the major brands there’s enough representation. People are saying 'fashion has changed,' but no, it hasn’t." We have Virgil; we have Edward. It took this amount of time. Look how much time it took to see this amount of black kids on the runway. It’s a gradual move forward. It’s still two people. You can’t expect two people to unravel and undo over 40 years of [systematic racism in] a profitable industry. I think Virgil is doing an amazing job. I hope he’s around for a long time. And I hope Edward continues to make pushes and advances. But to this day, they might have the power, but they don’t have all the pull. We need more prominent black people in leadership positions within fashion. Interesting. You can read his full interview here. The 28-year-old model jetted to Hawaii with his 25-year-old model girlfriend Mariama Diallo to bring in the new year. 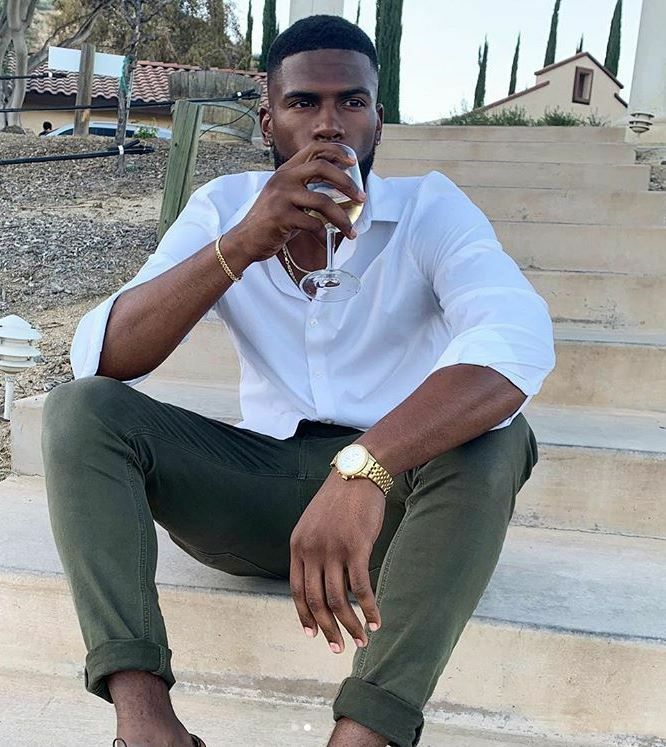 Fine a** #Insecure actor and model #BroderickHunter is a taken man. And him and model girlfriend #MariamAdiallo clearly hit the melanin jackpot. The twosome shared pics from their baecay in #Hawaii. They look GOODT and we're here for their love as well. PREVIOUS: Queen Nicki Minaj Rules The Underworld In 'Hard White' Video - Did She Shade The Grammys? And What's With The Scorpion Reference....Draaaaake?